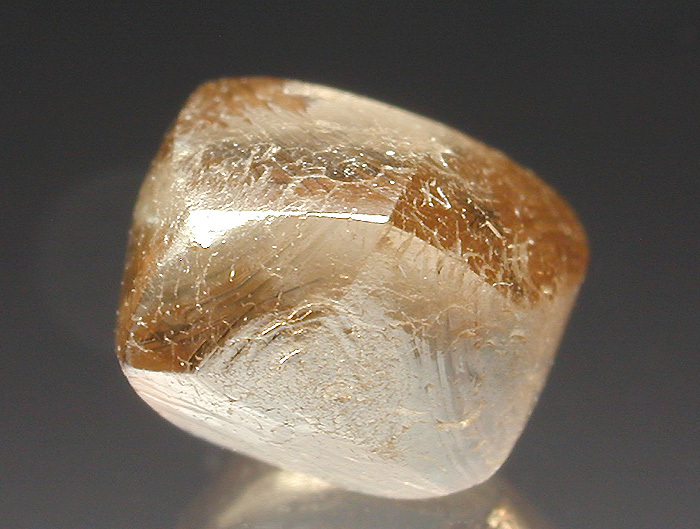 Please NOTE the SIZE of these crystals. 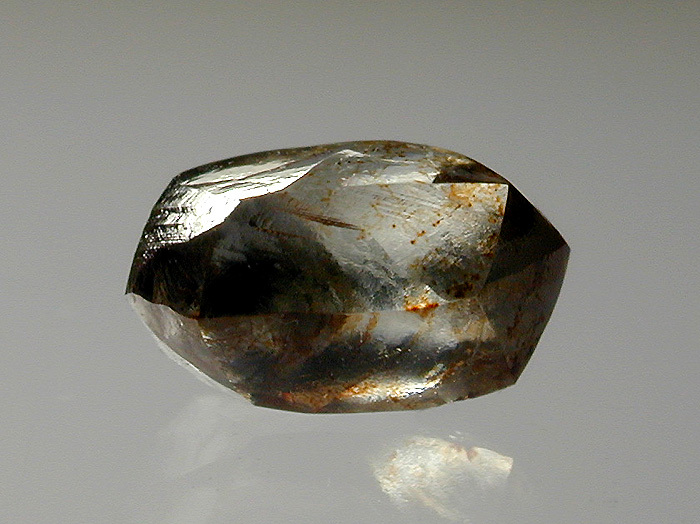 We have Photographed them using close up lenses in the hope that you can see the crystals in as much detail as possible. 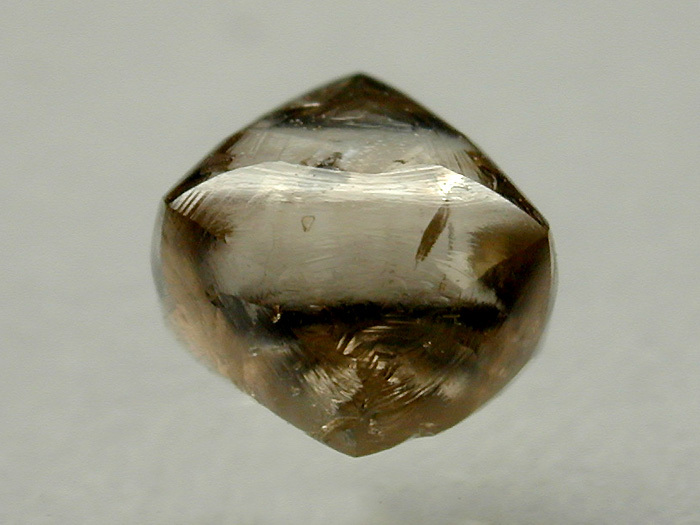 Description A well developed small modified dodecahedral crystal of pale yellowish brown colour (paler than the images depict) with high surface lustre and transparency. 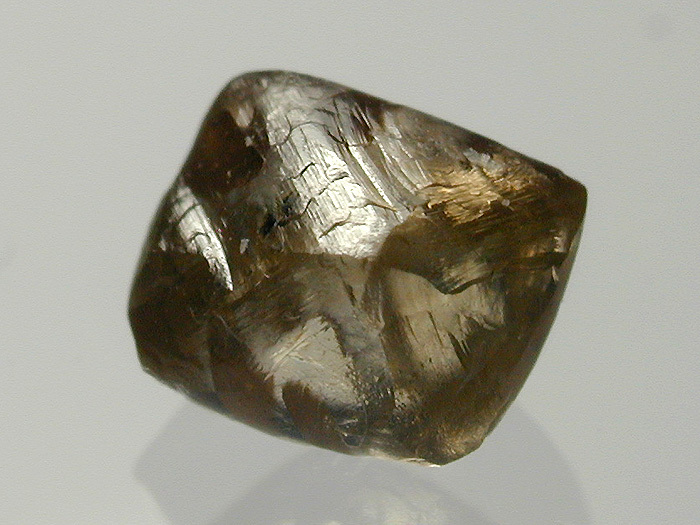 Nice example of crystalised Diamond. 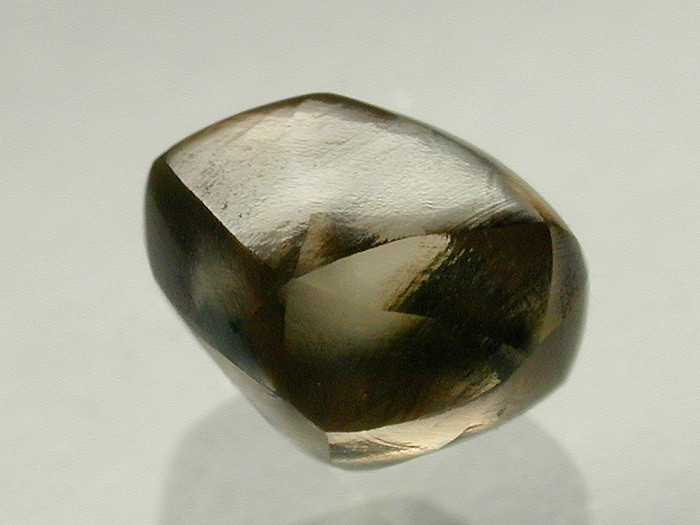 Dimensions 3mm x 2.5mm x 1.5mm appx. 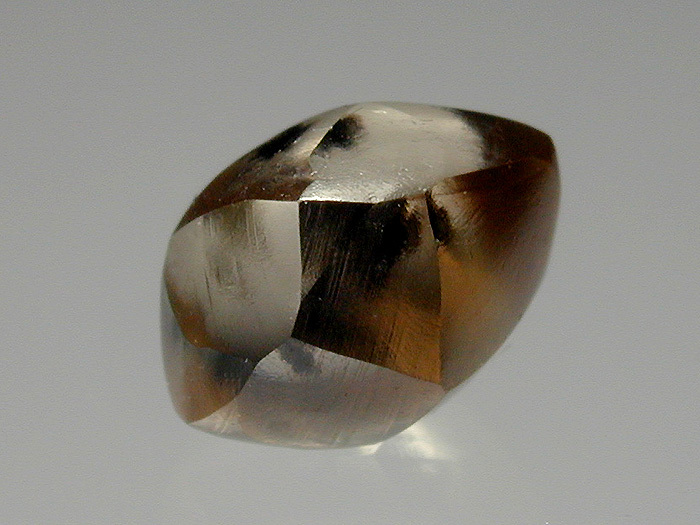 Description A well developed slightly elongated, modified dodecahedral crystal of pale yellowish brown colour with high surface lustre and transparency. 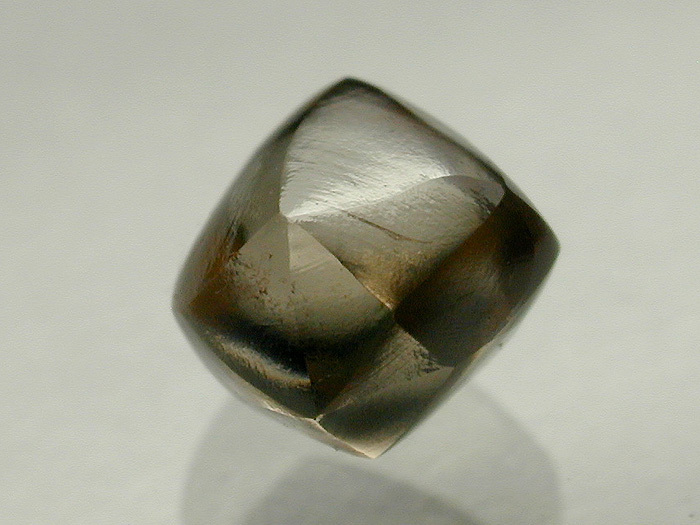 Some fine dendritic patterns of iron coat parts of the crystal. 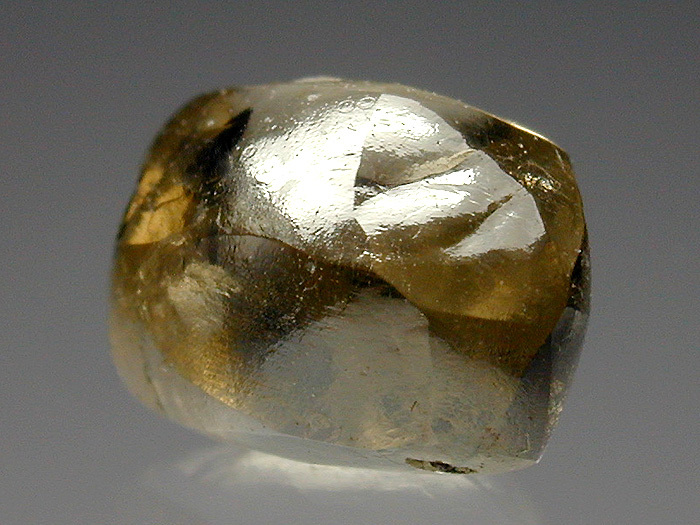 Nice example of crystalised Diamond. 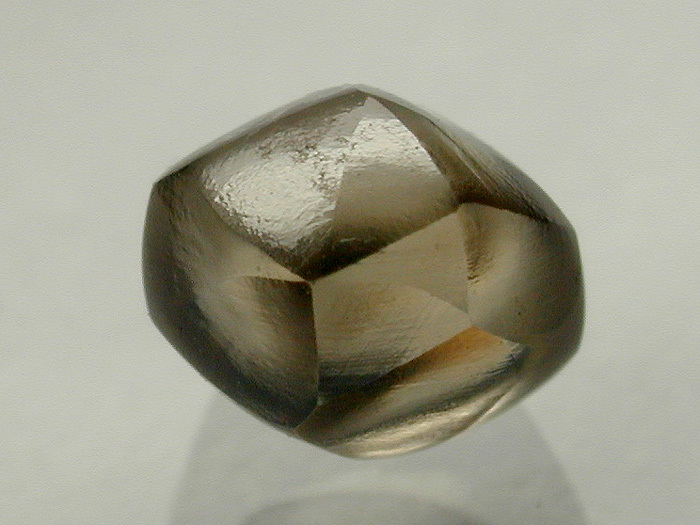 Dimensions 4mm x 2.5mm x 2mm appx. 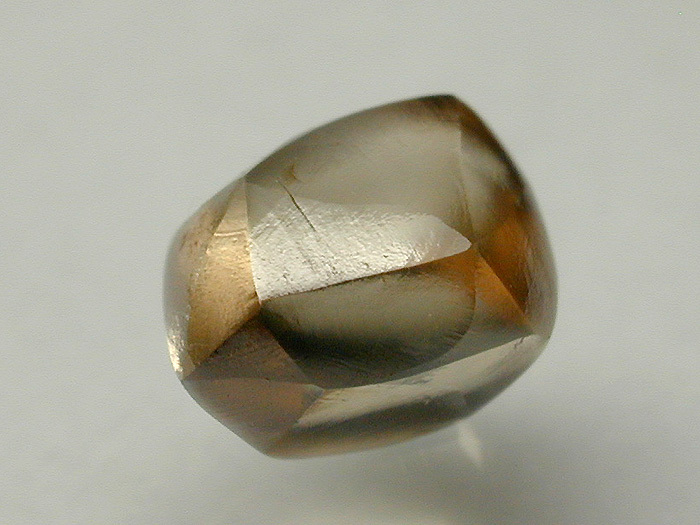 Description A well developed, modified dodecahedral crystal of pale yellowish brown colour (paler than the images depict) with good surface lustre and transparency. 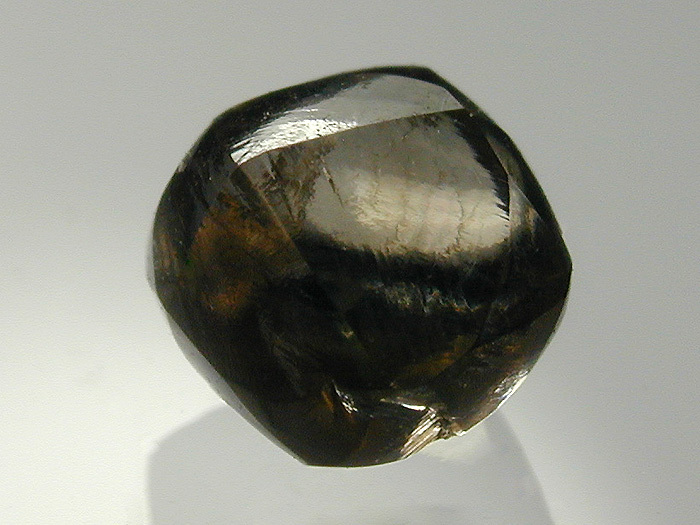 A near black inclusion appears in the centre of the stone adding interest to this piece. 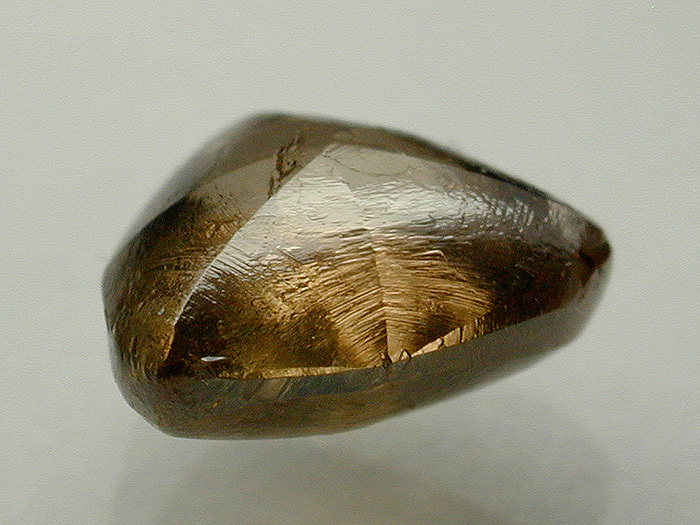 Nice example of crystalised Diamond showing near perfect crystal form. 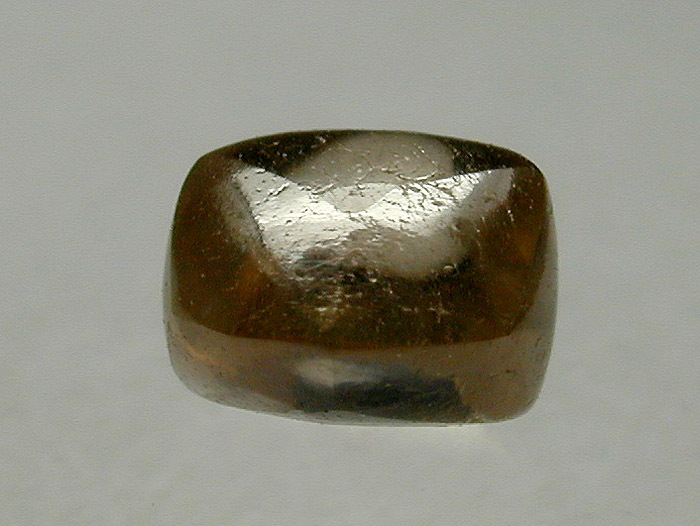 Dimensions 4mm x 4mm x 3.5mm appx. 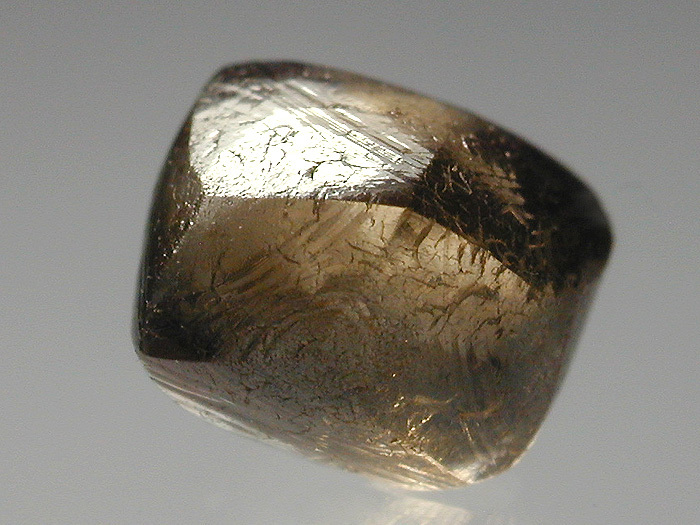 Description A well developed, modified octahedral crystal of pale yellowish brown colour (paler than the images depict) with good surface lustre and transparency. 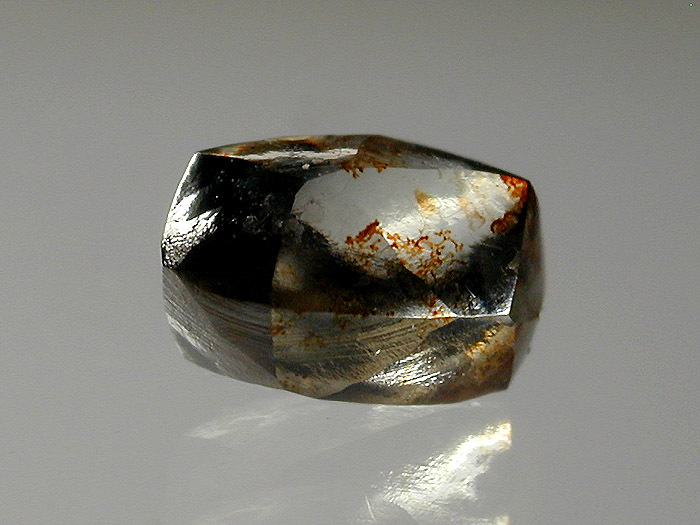 Two small "windows" have been polished on to this stone so that the internal clarity and inclusions may be examined, adding interest to this piece. 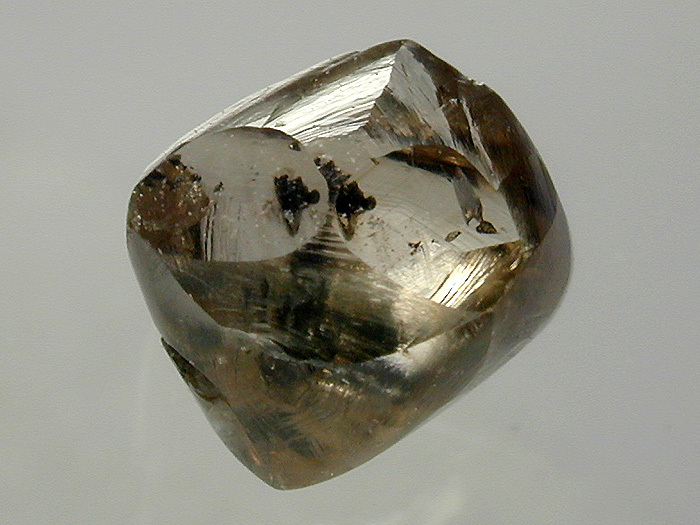 Nice example of crystalised Diamond. 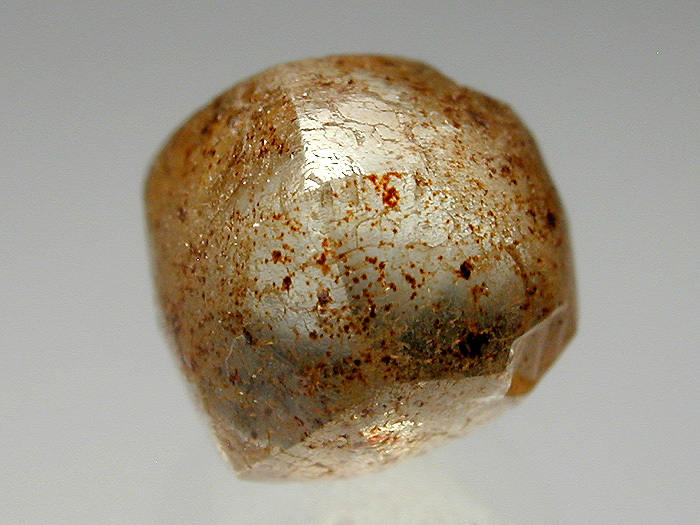 Dimensions 4mm x 3mm x 3mm appx. 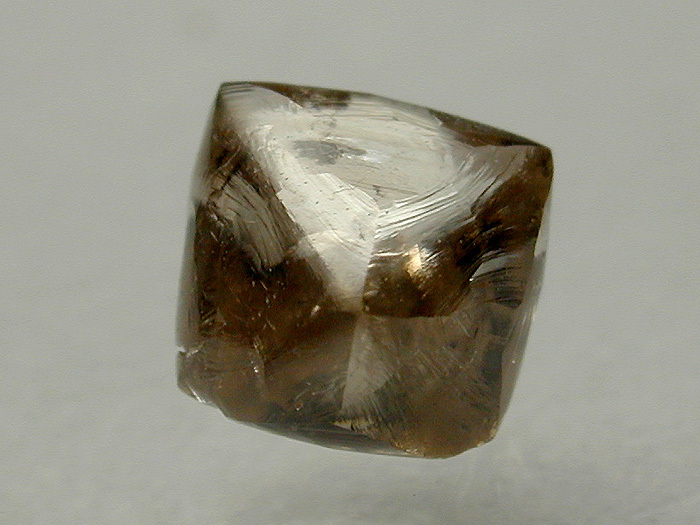 Description A well developed, modified dodecahedral crystal of pale yellowish brown colour (paler than the images depict) with good surface lustre and transparency. 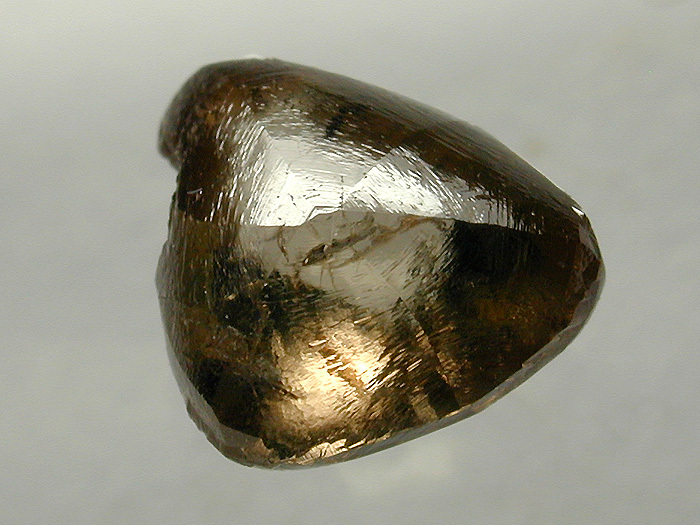 Nice example of crystalised Diamond. 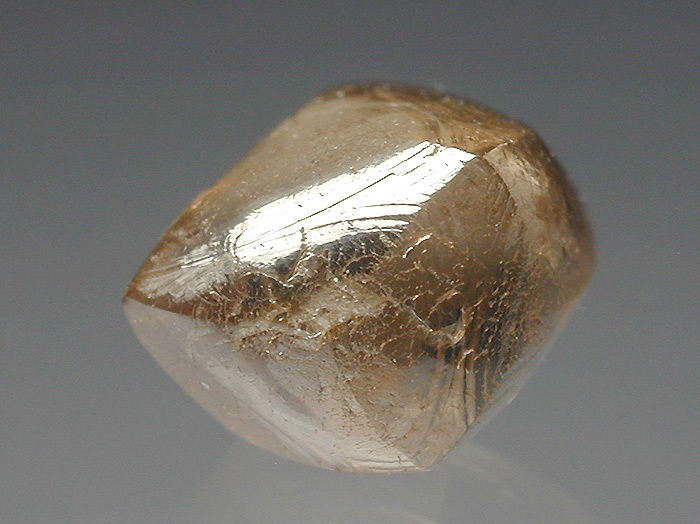 Description A well developed, modified dodecahedral crystal of pale yellowish brown colour (paler than the images depict) with good surface lustre and transparency. 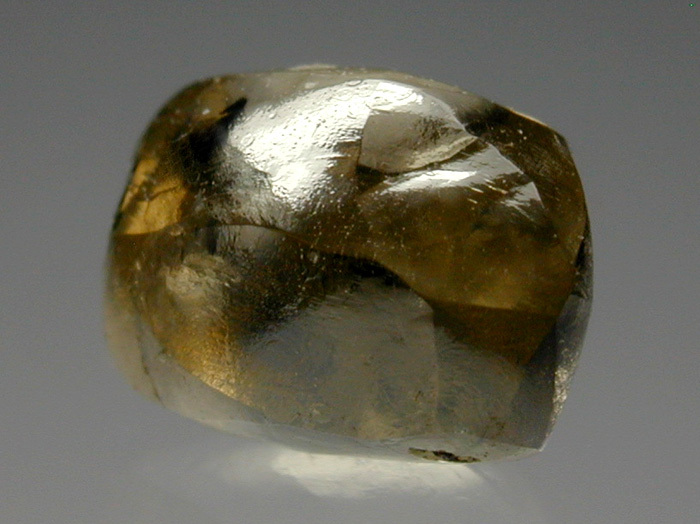 Exceptionally well formed example of crystalised Diamond with one or two minor inclusions. 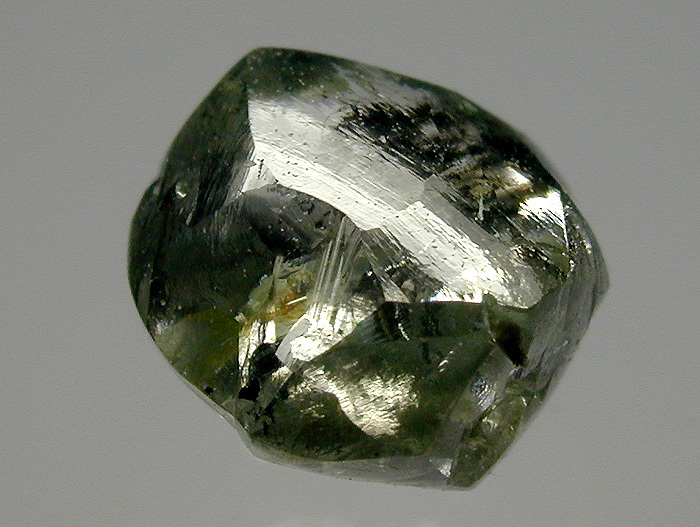 Dimensions 3.5mm x 3mm x 2.5mm appx. 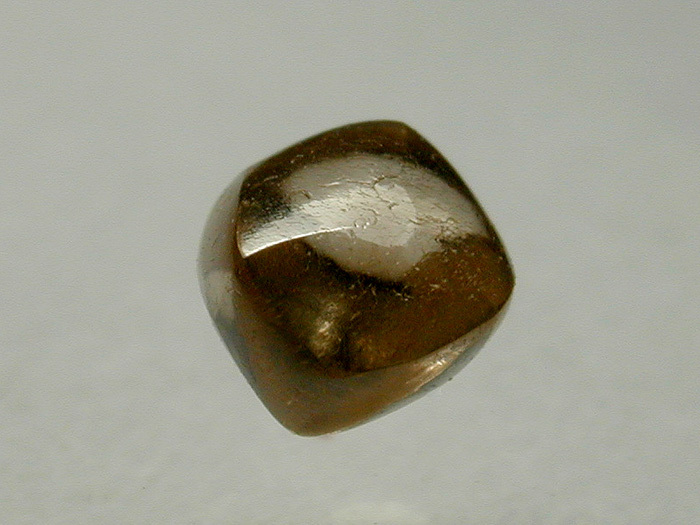 Description A well developed, slightly modified octahedral crystal of pale yellowish brown colour (paler than the images depict) with good surface lustre and transparency. 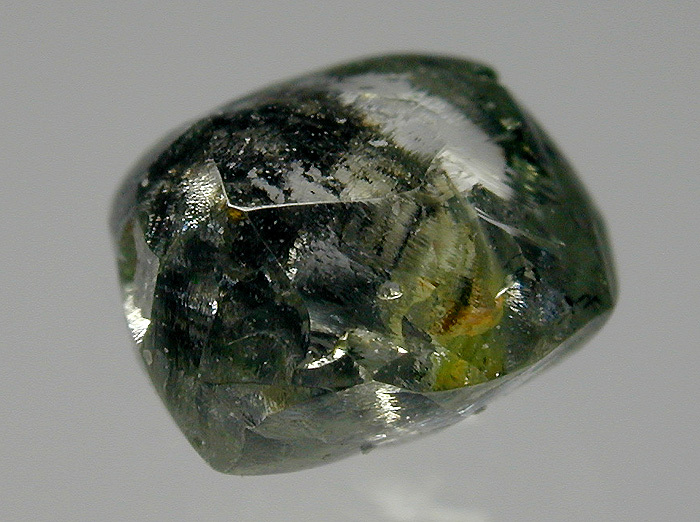 Exceptionally well formed example of crystalised Diamond with one or two minor inclusions. 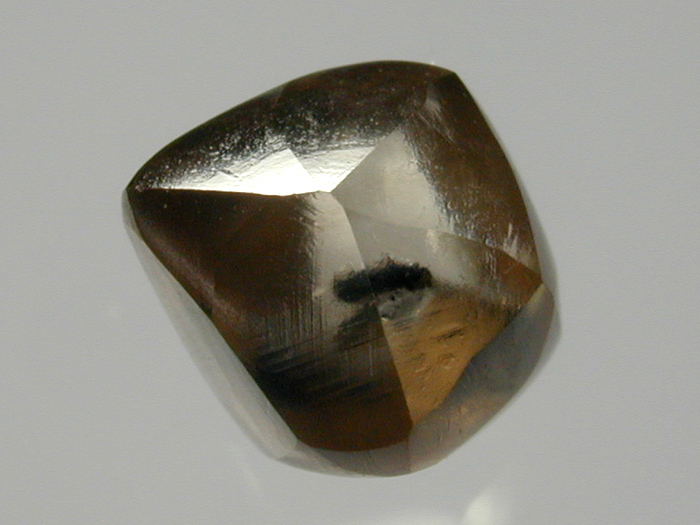 Dimensions 4mm x 3.5mm x 3mm appx. 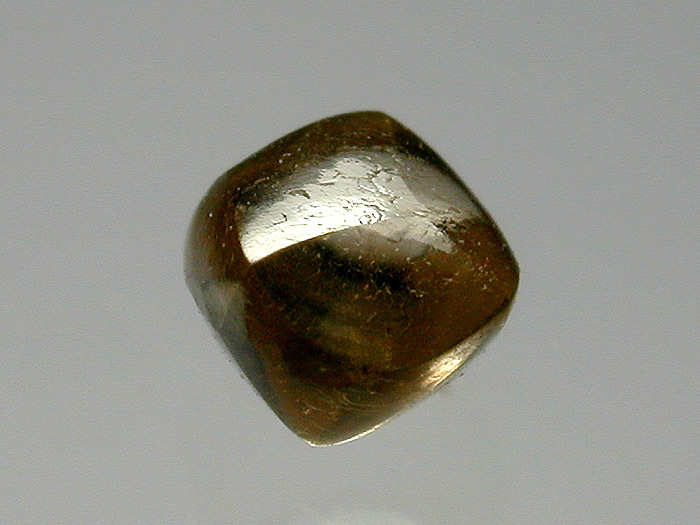 Description A well developed, flattened and modified triangular shaped Dodecahedral crystal of pale yellowish brown colour (paler than the images depict) with good surface lustre and transparency. 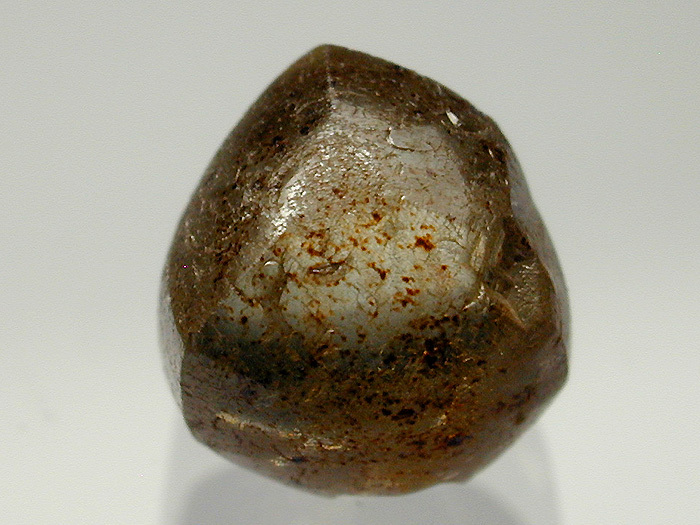 Well formed example of crystalised Diamond with one or two minor inclusions. 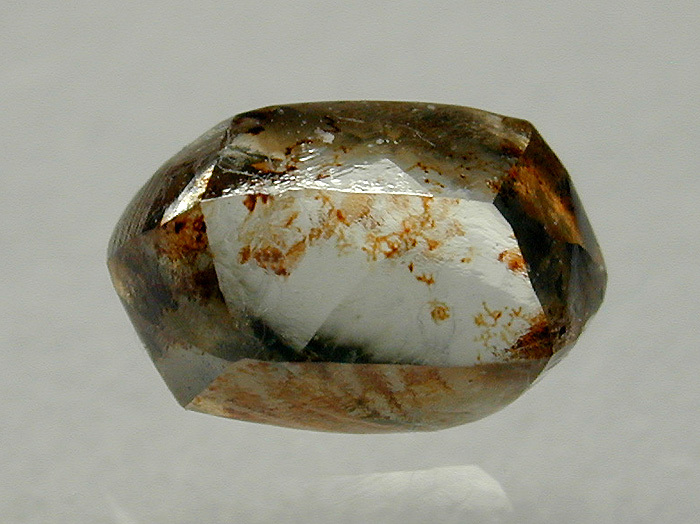 Dimensions 5mm x 4.5mm x 2.5mm appx. 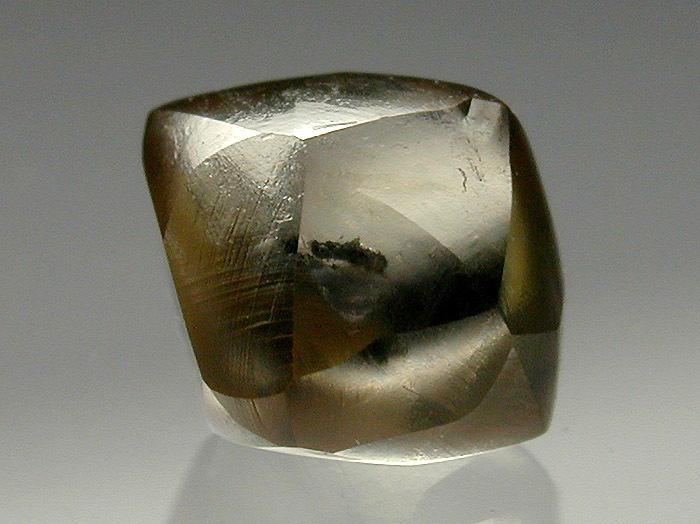 Description A nearly colourless well formed dodecahedral crystal with good surface lustre and transparency. 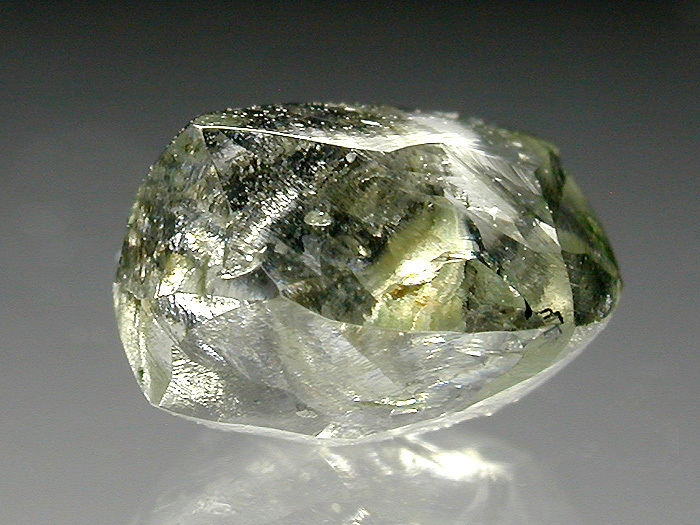 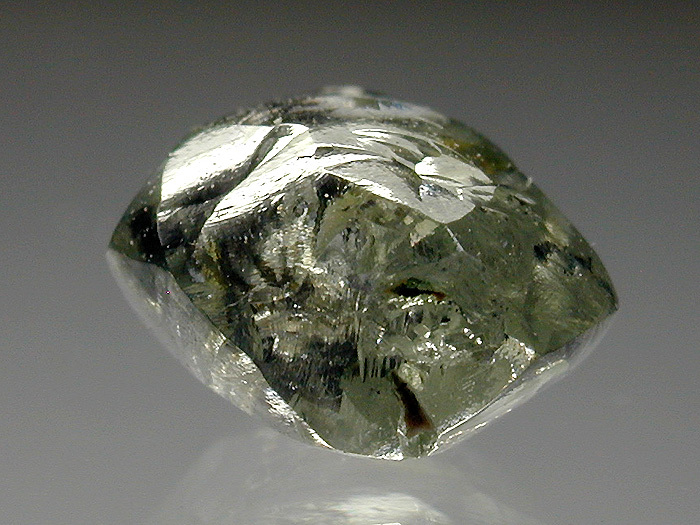 Many inclusions can be seen beneath the surface of this gem. 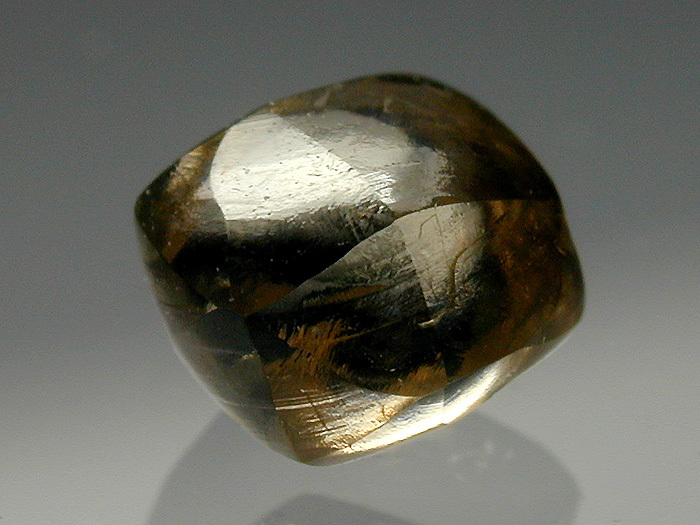 A particularly nice example of crystalised Diamond. 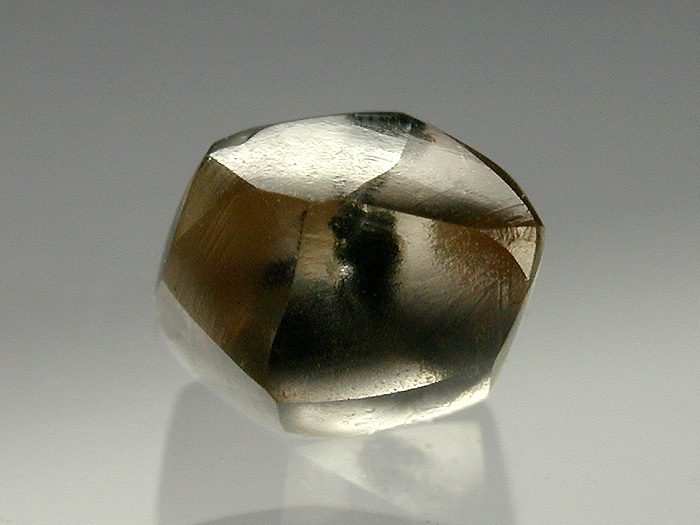 Dimensions 5mm x 5mm x 3mm appx. 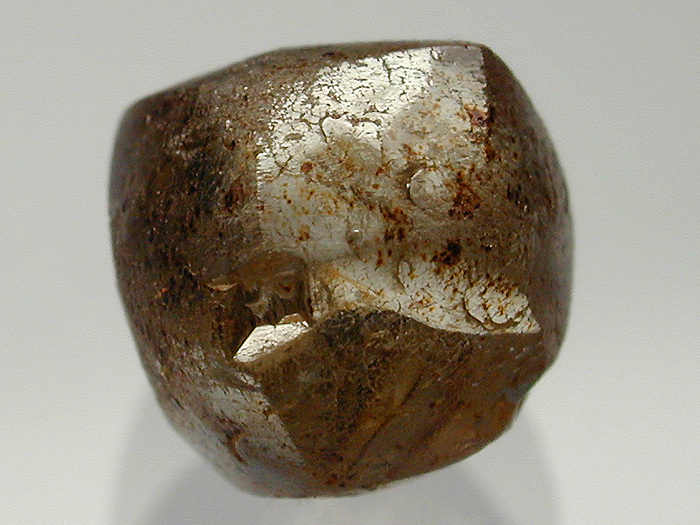 Description A somewhat rouded but none the less well developed, modified dodecahedral crystal of pale brownish colourwith good surface lustre and transparency. 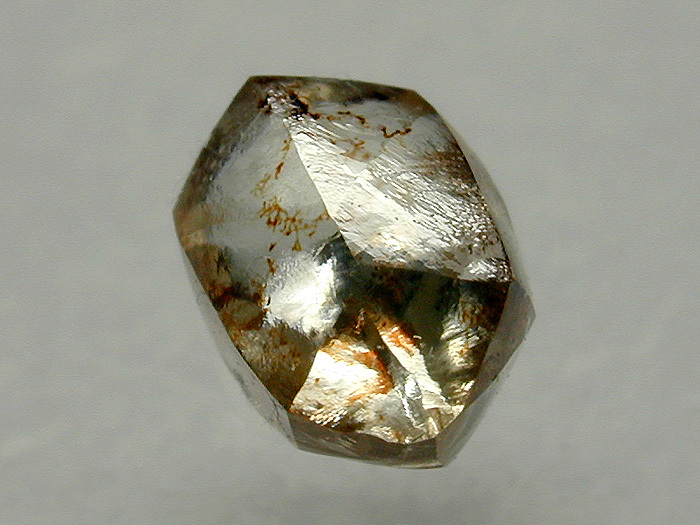 Good example of crystalised Diamond. 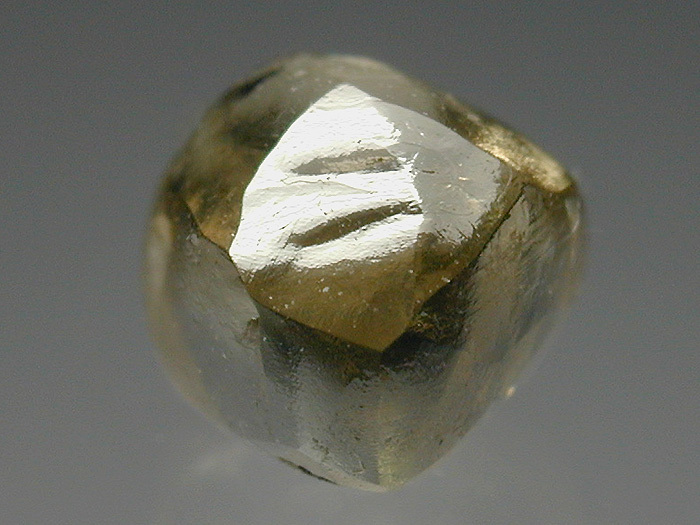 A well formed and rouded, modified dodecahedral crystal of pale yellowish colour with high surface lustre and transparency. 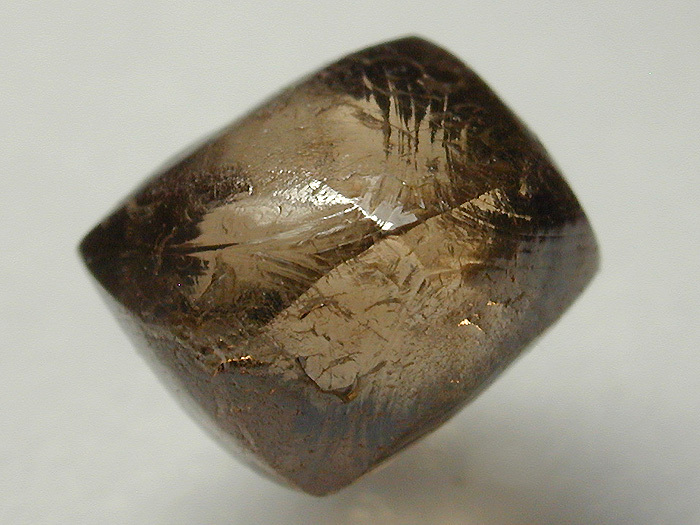 Some fine dendritic patterns of iron coat parts of the crystal. 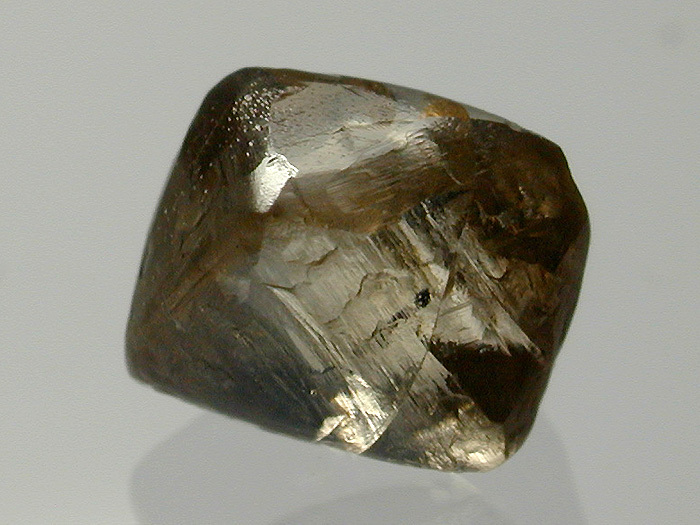 Nice example of crystalised Diamond. 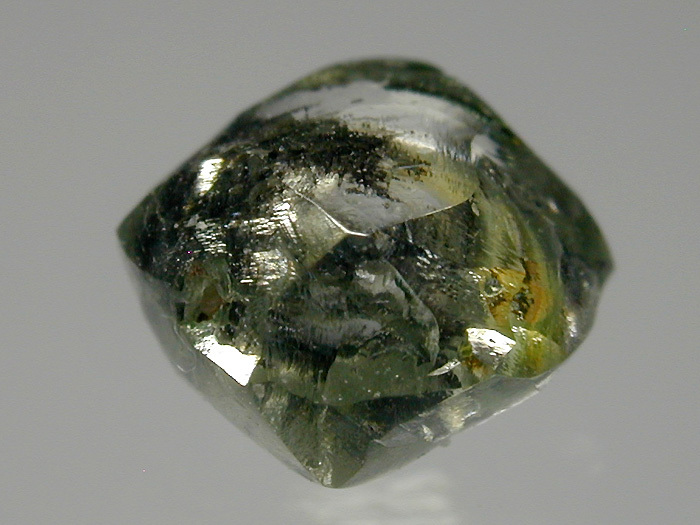 Dimensions 5mm x 5mm x 4.5mm appx. 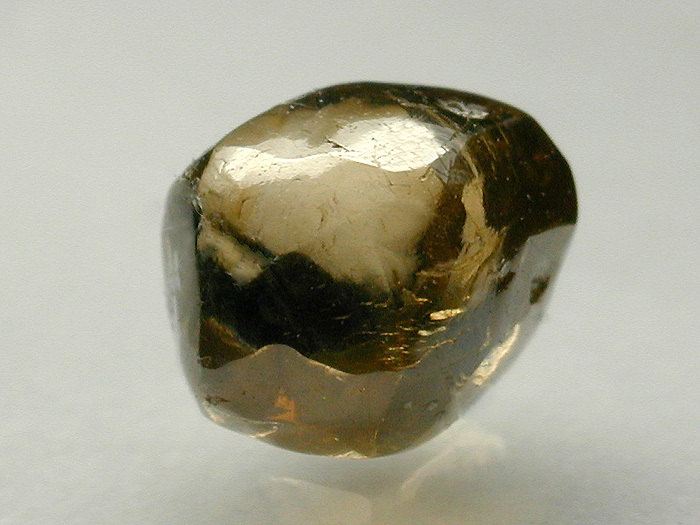 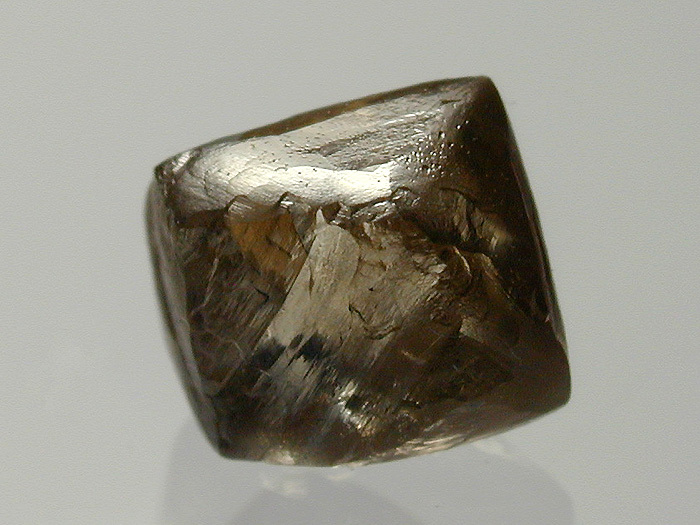 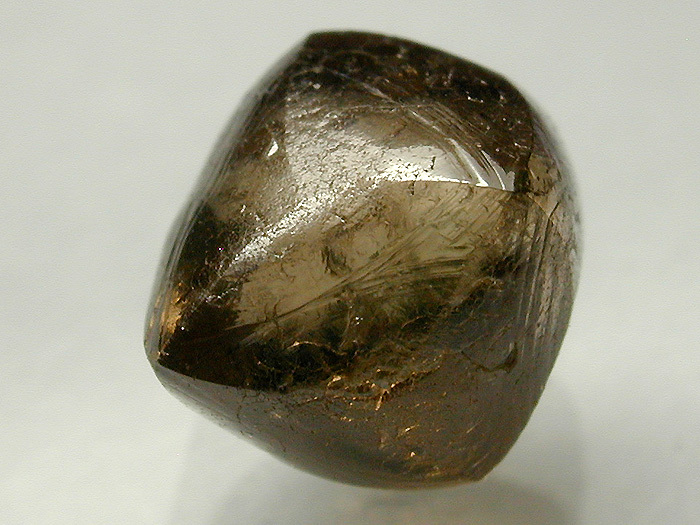 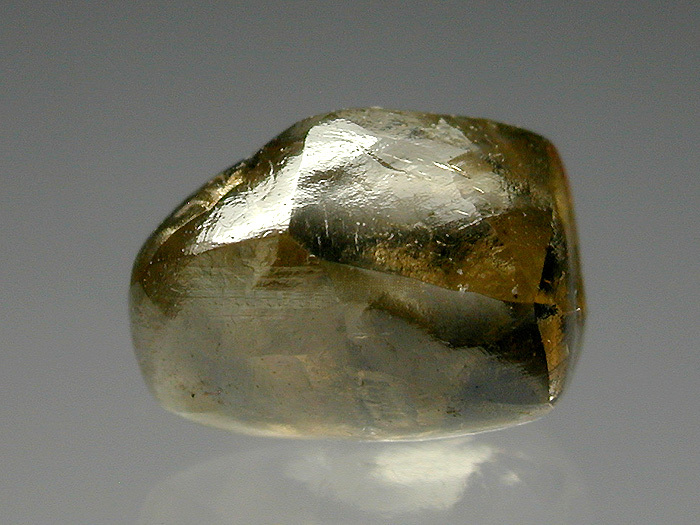 A well formed and slighltly elongated, complex modified dodecahedral crystal of pale yellowish brown colour with high surface lustre and transparency. 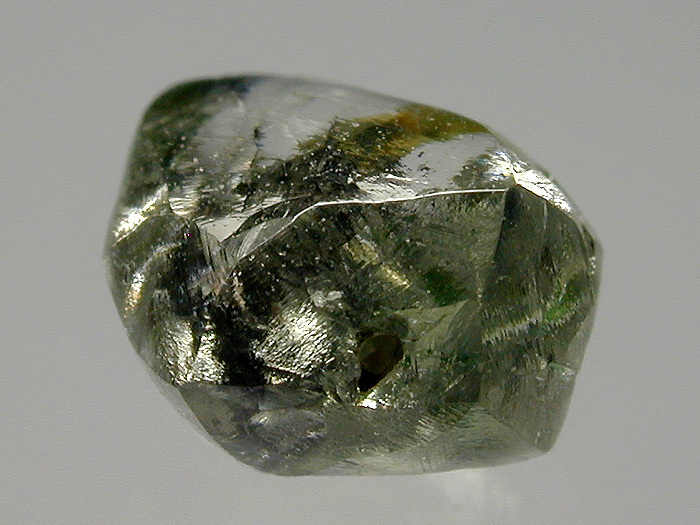 A few nice inclusions are visible with use of transmitted light. 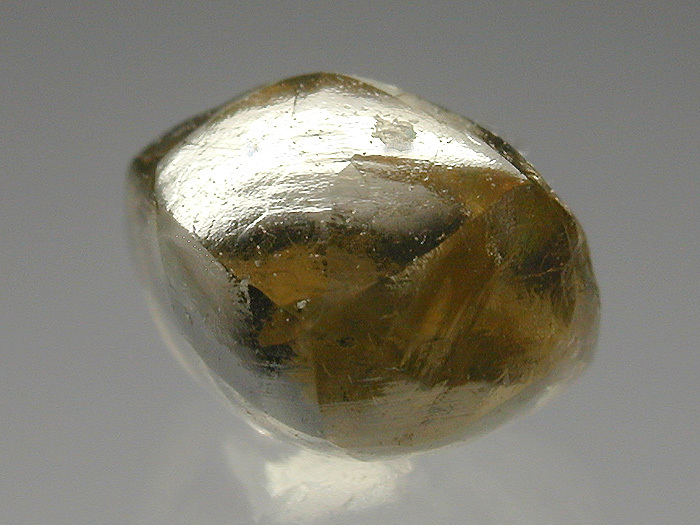 Nice example of crystalised Diamond. 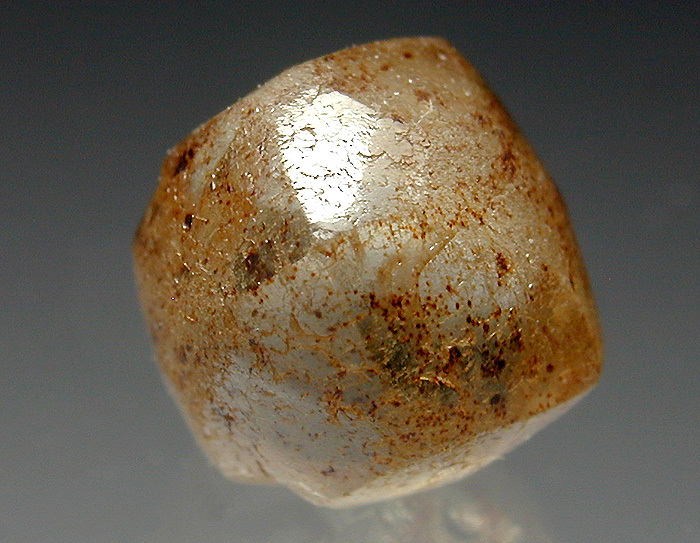 Dimensions 5mm x 4mm x 3.5mm appx. 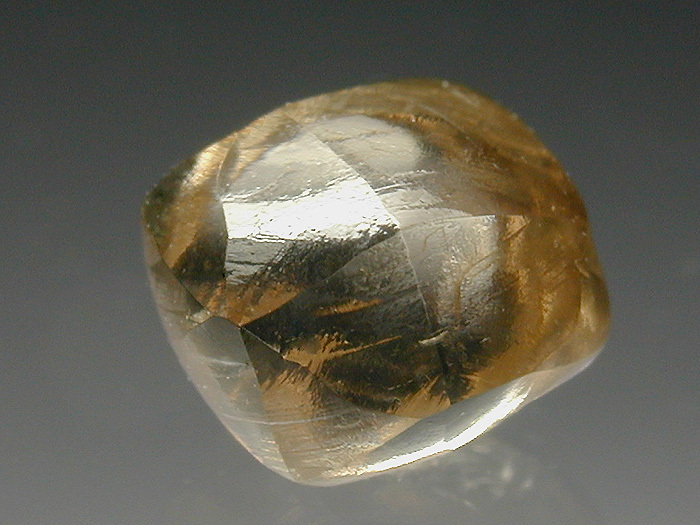 An exceptionally well formed dodecahedral crystal of pale yellowish brown colour with high surface lustre and transparency. 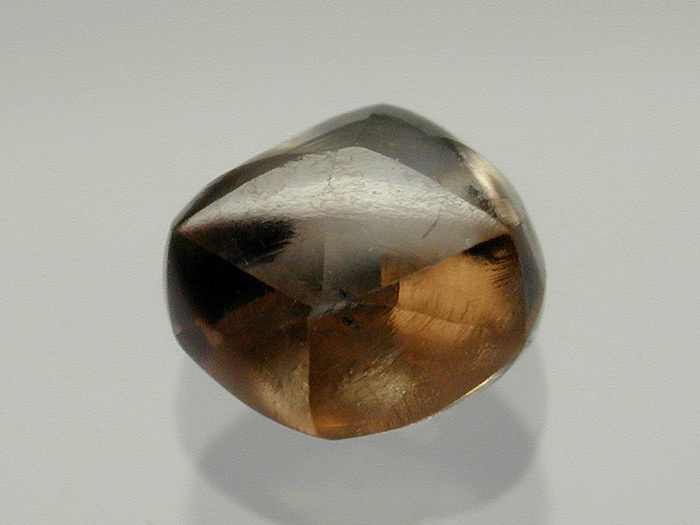 The crystal appears to have few if any inclusions. 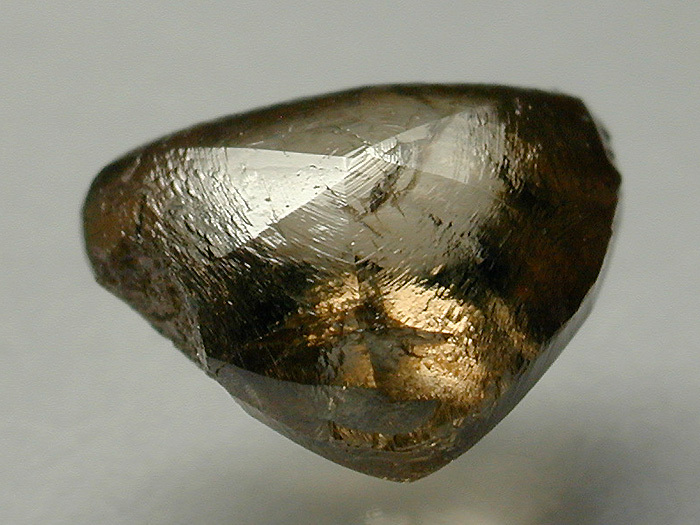 Nice example of crystalised Diamond. 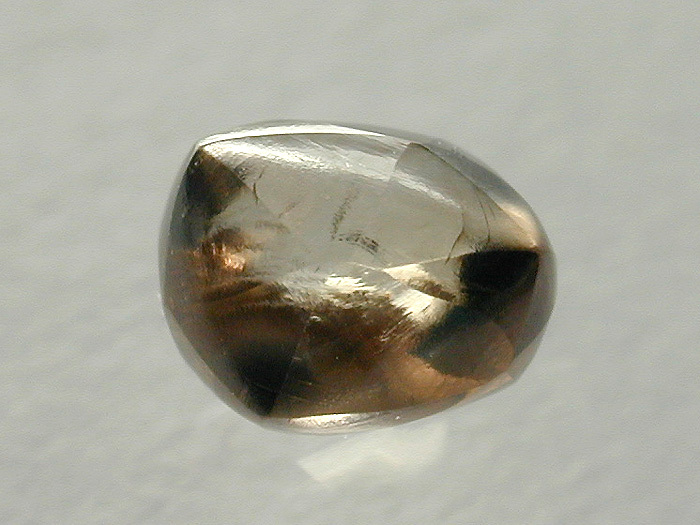 Dimensions 4mm x 3.5mm x 3.5mm appx. 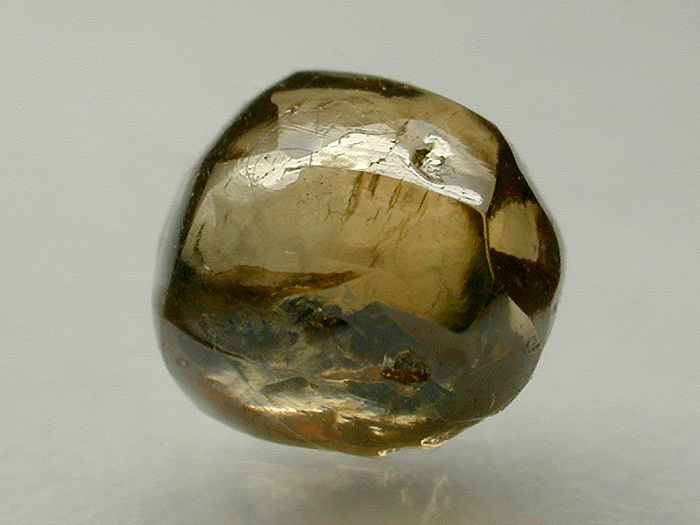 An exceptionally well formed dodecahedral crystal of pale yellowish brown colour with high surface lustre and transparency. 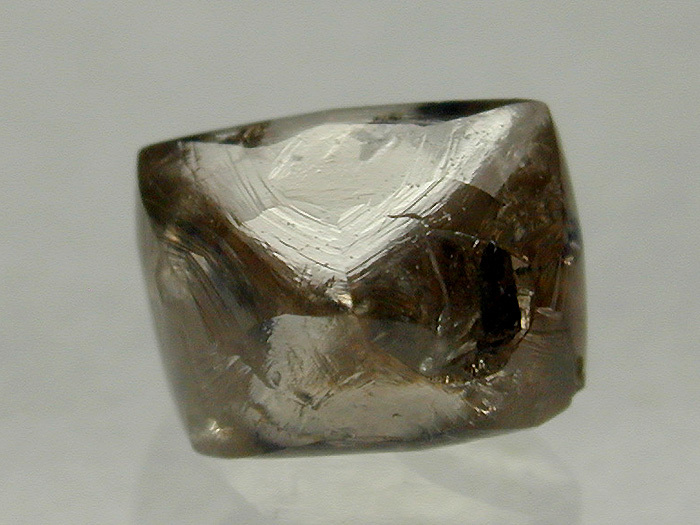 The crystal exhibits interesting surface growth features. 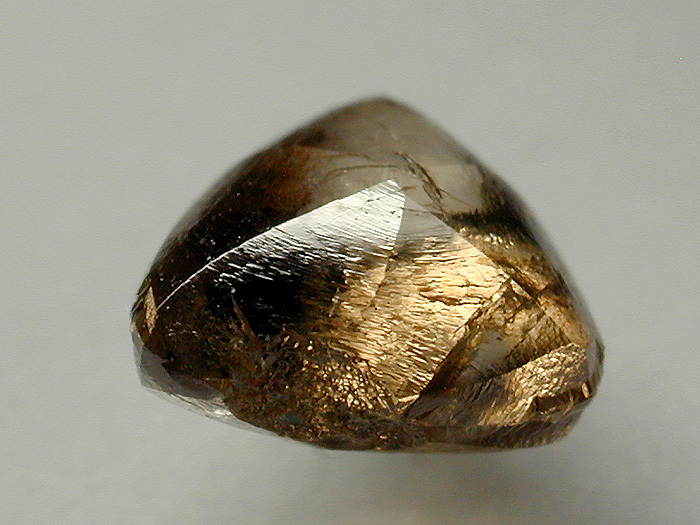 Nice example of crystalised Diamond. 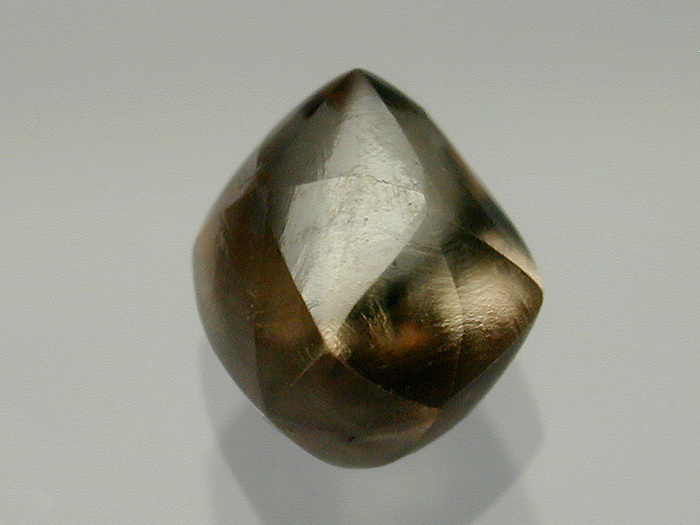 Dimensions 5.5mm x 4mm x 3.5mm appx.